In one regard, January 1, 1863, was no different than all the other New Year’s Days in recent Washington memory—Civil War notwithstanding. Ushers threw open the doors of the White House around 11 a.m., and ordinary citizens surged inside to mingle with dignitaries. Towering above the throng was Abraham Lincoln, patiently greeting visitors by the hundreds, “his blessed pump handle working steadily, ” marveled journalist Noah Brooks. But this was to be no ordinary New Year’s Day in the nation’s capital. Today history would be made. Around 2 p.m. the president quietly slipped out of the East Room and walked upstairs to his office (now the Lincoln Bedroom) on the second floor. Waiting for him was Secretary of State William H. Seward, along with Seward’s son Frederick, who served as his father’s private secretary, and a few members of Lincoln’s staff. On the large table near the center of the room rested a vellum document written out by a professional “engrosser”—and corrected a final time only hours before, after Lincoln himself noticed an error. Solemnly, Lincoln sat down at his accustomed spot at the head of the table. Now, at last, he would sign the most important order of his administration, perhaps of the century: the Emancipation Proclamation. Exactly 100 days earlier, Lincoln had issued a preliminary proclamation, vowing to free the slaves in all states still in active rebellion against the federal authority on this day, January 1. The rebellion had continued, but many doubted until the very last minute that Lincoln would make good his threat. One persistent rumor held that Mrs. Lincoln, the daughter of a slaveholder, would bewitch her husband into reneging. “Will Lincoln’s backbone carry him through?” wondered New Yorker George Templeton Strong. “Nobody knows.” Lincoln took a steel pen in hand, dipped it in an inkwell, but then paused and put the pen down. To his own surprise, his hand was trembling. 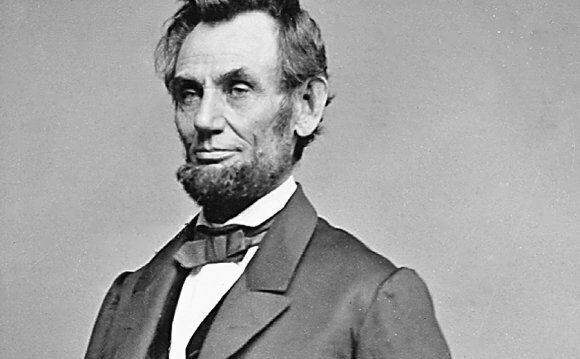 What Abraham Lincoln’s Emancipation Proclamation did—and did not—do has been the subject of heated debate ever since. Did it free all the slaves? None? Or some? Was it a thunderbolt aimed at correcting generations of inhumanity? Was it rather a stroke of political expediency directed solely at foreign powers otherwise poised to intervene in America’s war on the side of the slaveholding South? Or was it merely an acknowledgment that slavery was already dying, thanks to forces beyond the president’s control? One thing is certain: Lincoln himself believed his order would change the course of both the Civil War and the peace that would follow. And so did his contemporaries—including the painters, engravers and lithographers who commenced portraying him as a modern Moses in a host of artistic tributes—a sure measure of public opinion before the days of professional polling. For the most part, the graphic arts were somewhat slow to celebrate emancipation—waiting until the election campaign of 1864 to issue the first tentative tributes to (and virulent attacks on) the document, and withholding heroic por­traits of the Eman­cipator himself until his assassination in 1865. But popular culture ultimately embraced Lincoln as a liberator, and for nearly a century most historians agreed he deserved the title. Julia Taft Bayne (1845–1933) was an American author who wrote a memoir of the Lincoln White House entitled Tad Lincoln's Father.